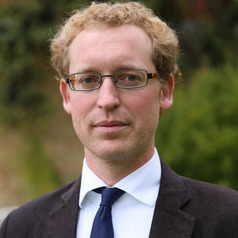 Pieter Vanhuysse, PhD (LSE) is Professor at the Department of Political Science and Public Management and the Danish Centre for Welfare Studies of the University of Southern Denmark. Pieter has published over 40 articles on the political sociology and political economy of welfare states, public policies, generations, and population aging. His book Divide and Pacify: Political Protests and Strategic Social Policies in Post-Communist Democracies (2006) was nominated for the Political Sociology Best Book Award by the American Sociological Association. He has also co-edited Aging Populations in Post-Industrial Democracies (2012) and Post-Communist Welfare Pathways (2009). Pieter has lectured at over 25 institutes of higher learning. He has spoken and consulted widely to ministries and policymaking communities, including the Obama White House, the European Commission, the Inter-Parliamentary Union at the Canadian Parliament, the Inter-American Conference on Social Security, the International Social Security Association, and the Global Economic Symposium. Gal, Robert Ivan, Vanhuysse, Pieter & Vargha, Lili (2018), ‘Pro-Elderly Welfare States within Child-Oriented Societies,’ Journal of European Public Policy. Tepe, Markus & Vanhuysse, Pieter (2017), ‘Are Future Bureaucrats More Prosocial?’ Public Administration, 95 (4): 957-975. Tepe, Markus & Vanhuysse, Pieter (2014) ‘A Vote at the Opera? The Political Economy of Public Theatres and Orchestras in the German States,’ European Journal of Political Economy 36: 254-273. Tepe, Markus & Vanhuysse, Pieter (2013), ‘Parties, Unions, and Activation Strategies: The Context-Dependent Politics of Active Labor Market Policy Spending,’ Political Studies, 61 (3): 480-504. Tepe, Markus & Vanhuysse, Pieter (2013), ‘Cops for Hire: The Political Economy of Police Employment across German States,’ Journal of Public Policy, 33 (2): 165-199. Tepe, Markus & Vanhuysse, Pieter (2010), 'Elderly Bias, New Social Risks, and Social Spending: Change and Timing in Eight Programs across Four Worlds of Welfare, 1980-2003', Journal of European Social Policy 20 (3): 218-234. Tepe, Markus & Vanhuysse, Pieter (2009), 'Educational Business Cycles: The Political Economy of Teacher Hiring across German States, 1992-2004,' Public Choice, 139 (1-2): 61-82. Tepe, Markus & Vanhuysse, Pieter (2009), 'Are Aging OECD Welfare States on the Path to Gerontocracy? Evidence from 18 Democracies, 1980-2002,' Journal of Public Policy, 29 (1): 1-28.